Yes, he’s really smiling in this mugshot. 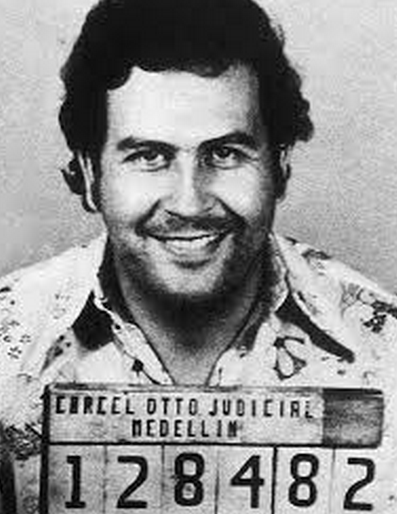 Look, the guy may have played a Robin Hood-type role in the way he used his massive drug empire earnings to build schools, hospitals, and soccer parks in poor Medellin ‘hoods, but he still killed, or was responsible for the deaths of, a boat load of people. Moreover, his empire contributed to an era that was an embarrassment for the country my parents came from. Consider that it was the world’s murder capital with 25,100 violent deaths in 1991 and 27,100 in 1992. Today, its tourism is on the rise. I realize there is more to the story about the ‘war on drugs’ policy and what role the United States played in this all. It seems like drugs, and the money that comes with them, make the world go round and aren’t going away. Still, it doesn’t make me a fan of Escobar. 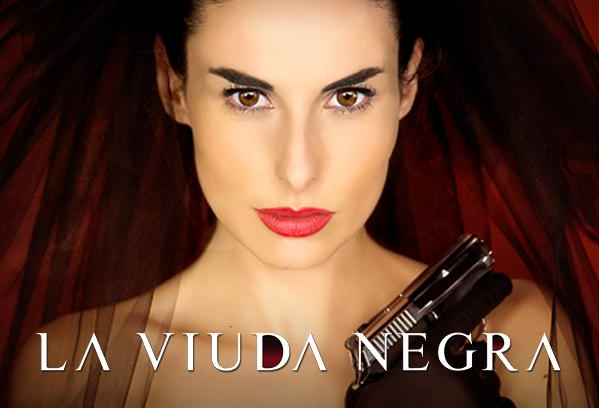 La Viuda Negra (the black widow) is playing on UniMás (a newer Univision channel). Read a synopsis here via We Love Soaps. The pilot episode, which begins with Blanco awaiting trial in a prison cell, nearly scared me off. It seemed the acting was overdone and the writing was pretty bad. But by episode two, things got interesting, thankfully. 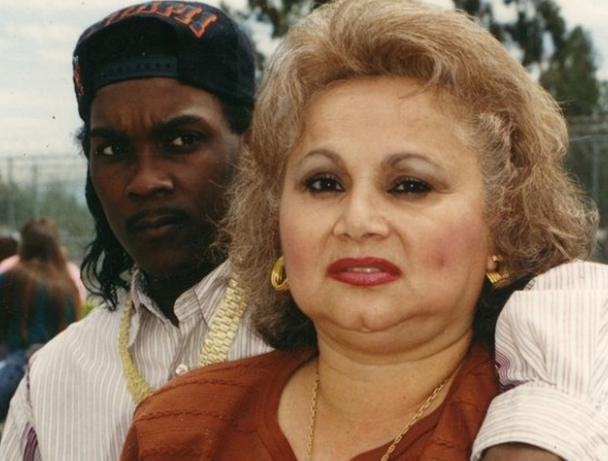 The show transitions to Blanco’s hard knock life upbringing and suddenly, I’m no longer wondering how a woman become such a ruthless drug queen. The acting by those who play a young Blanco and her posse in Medellin is great, and the dialogue is superb. Best part? The soap is available on Hulu Plus.